That’s what she told me…. So what kind of man am I? "Come on in, we've just begun !" 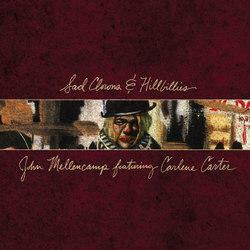 John Mellencamp’s 23rd full-length album, Sad Clowns & Hillbillies, featuring Carlene Carter, returns Mellencamp to the musical eclecticism that is, itself, a reflection of his wide-ranging musings on life. Sad Clowns & Hillbillies showcases a poet who has wisely used the years between youth and the present day to become an absolute of master of songwriting and interpretation. That passion and experience resonates most beautifully in this showcase of his music. Sad Clowns & Hillbillies is set for release April 28, 2017 from Republic Records.